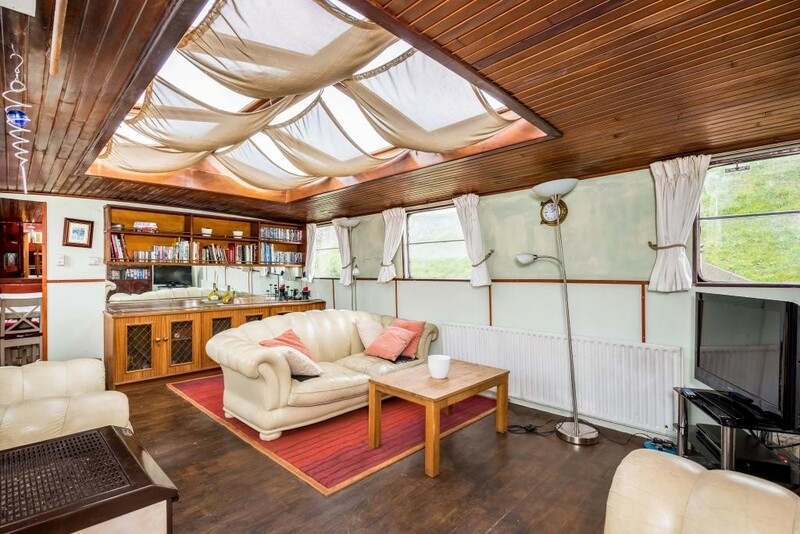 riverhomes are delighted to be marketing this fully navigable 27.8 m. x 5 m. live aboard Dutch barge currently located in the highly desirable Thames Ditton Marina with a brand new, renewable 1 year residential mooring licence (annual mooring fees to be agreed with the marina directly).Located under a mile from Surbiton National Rail Station, providing access to London Waterloo in 18 minutes and the Centre of Surbiton with all of its amenities. 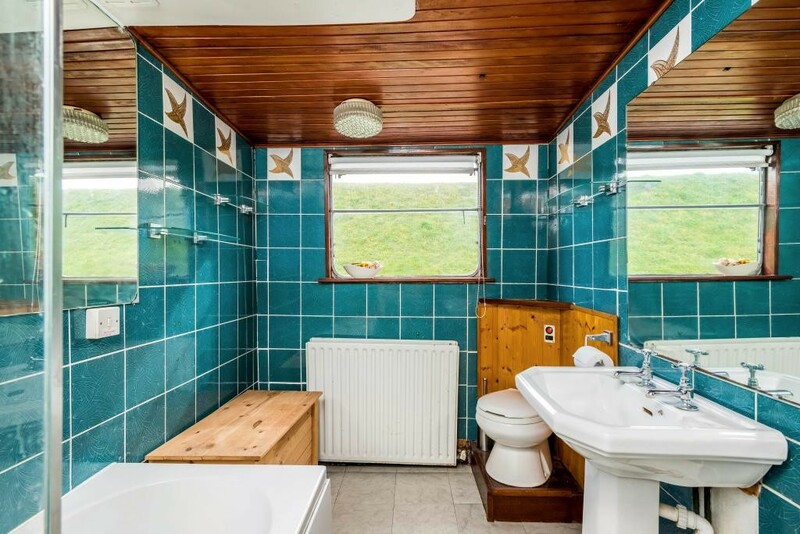 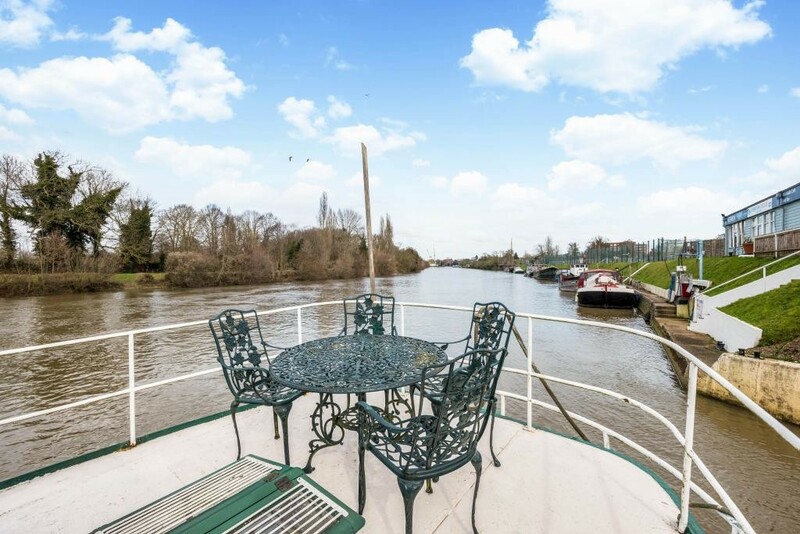 Accommodation comprises; entrance into a wheelhouse which has wonderful views of the river and the surrounds of Home park. 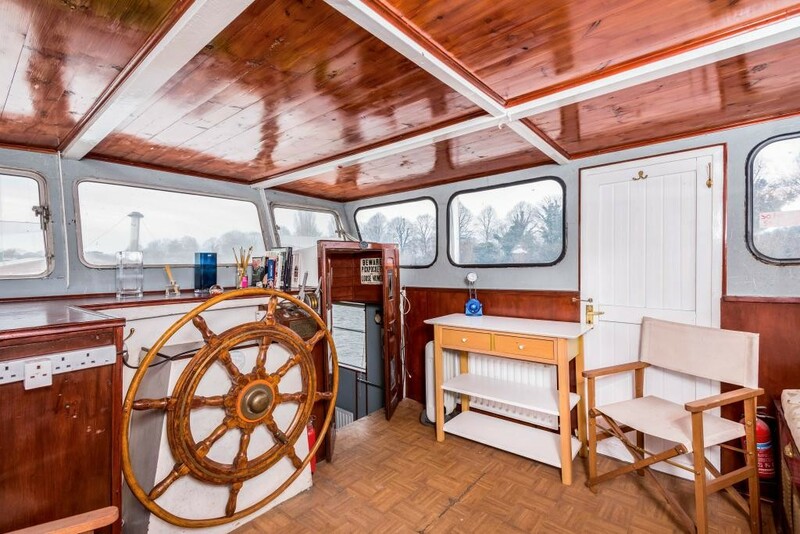 The wheelhouse has a seating area with the added benefit of storage space and provides access to the stern of the boat where you will find a master bedroom suite with a toilet and basin. 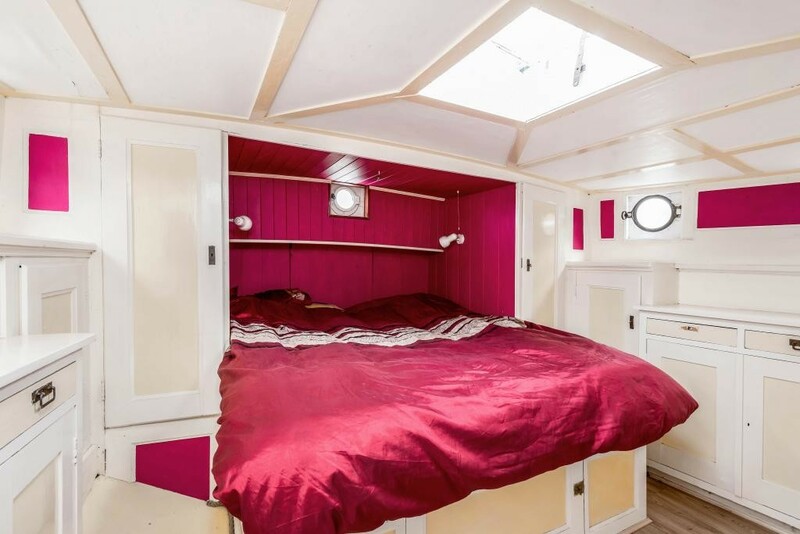 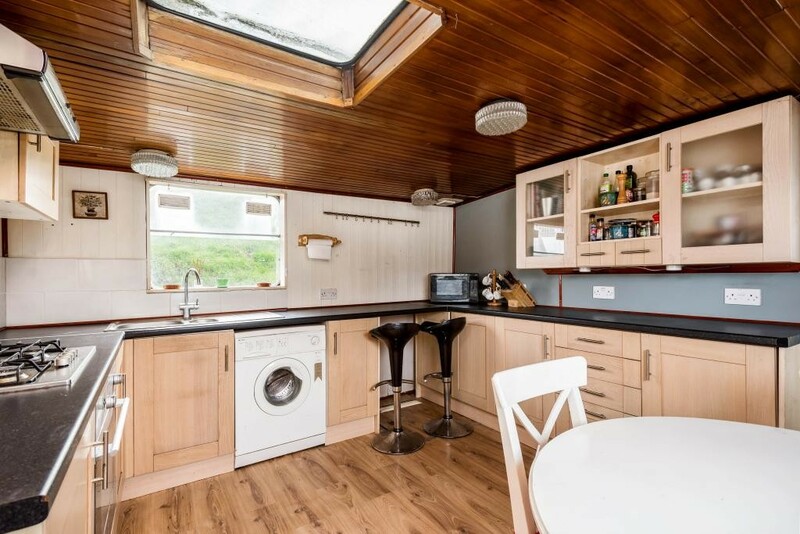 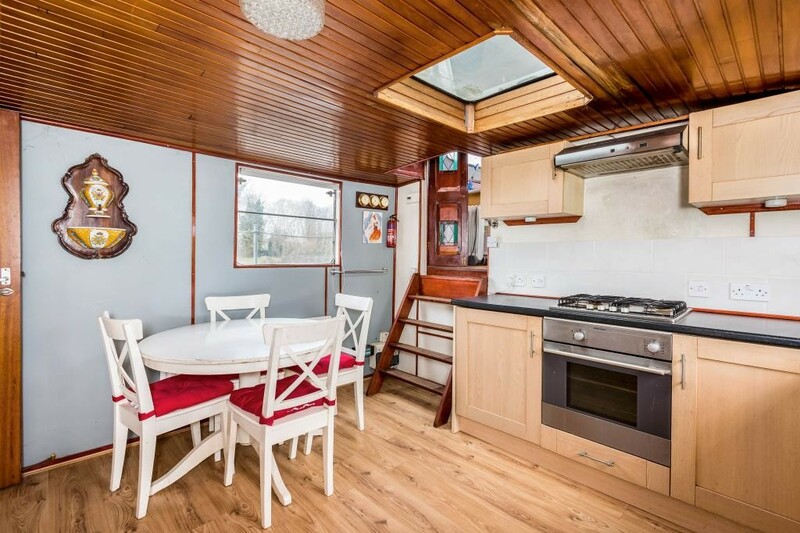 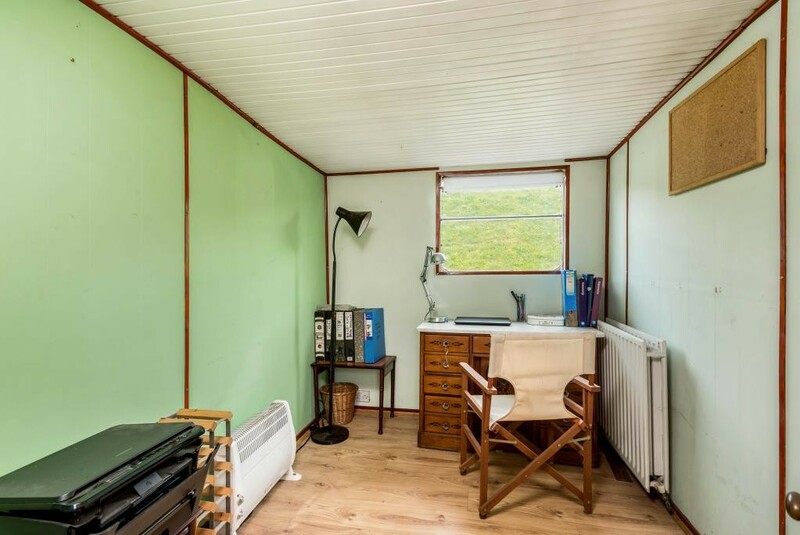 Steps lead towards the bow of the boat from the wheelhouse where you will find a fitted kitchen with space for a table and chairs, very spacious sitting room with a large skylight and wood burning stove as the main features, study/bedroom, bathroom and a further double bedroom. 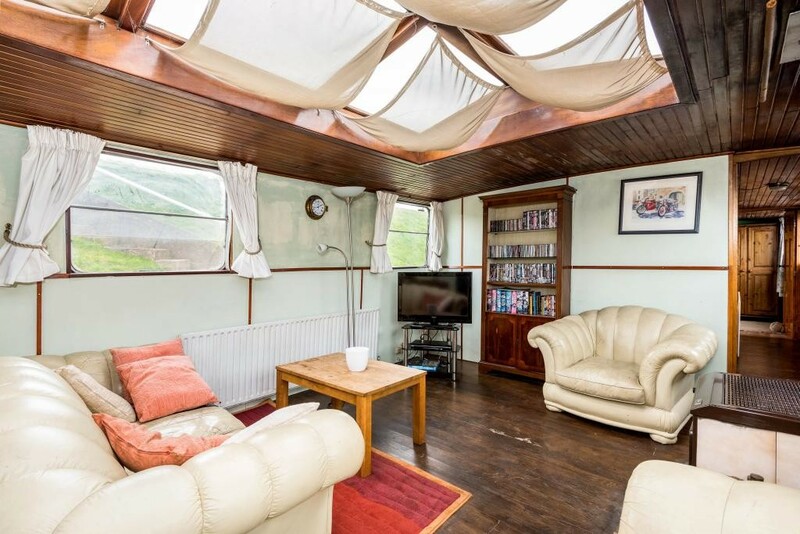 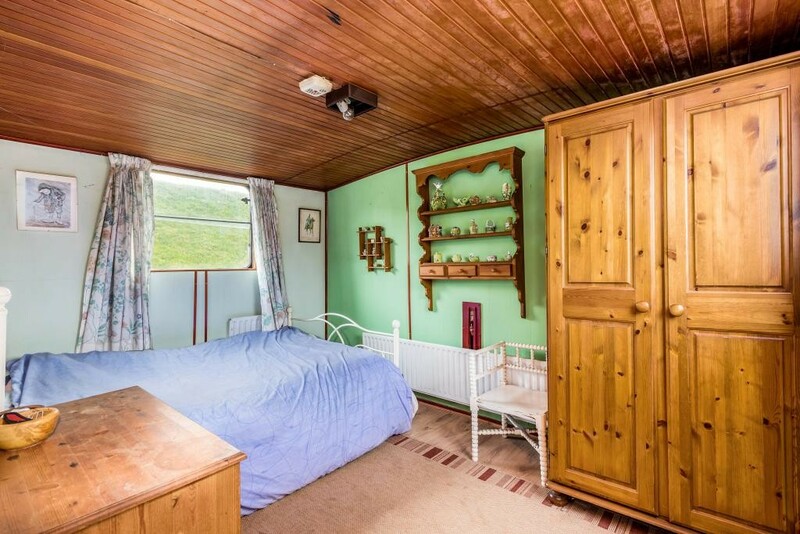 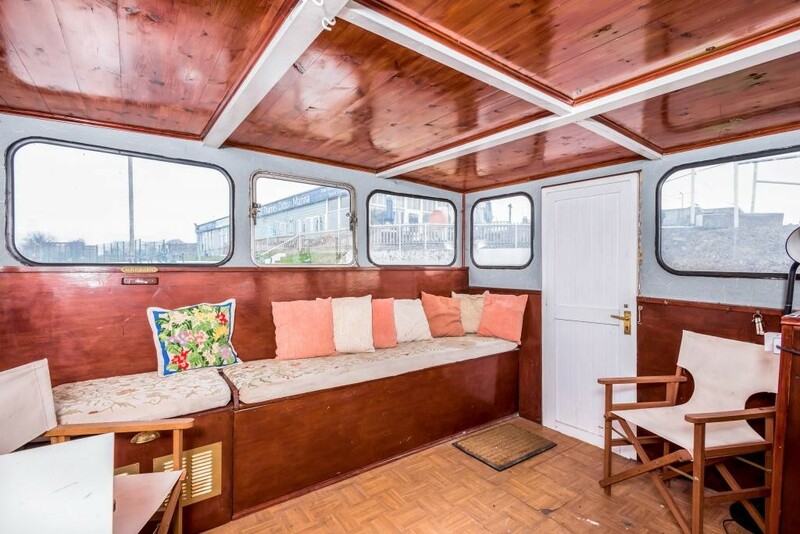 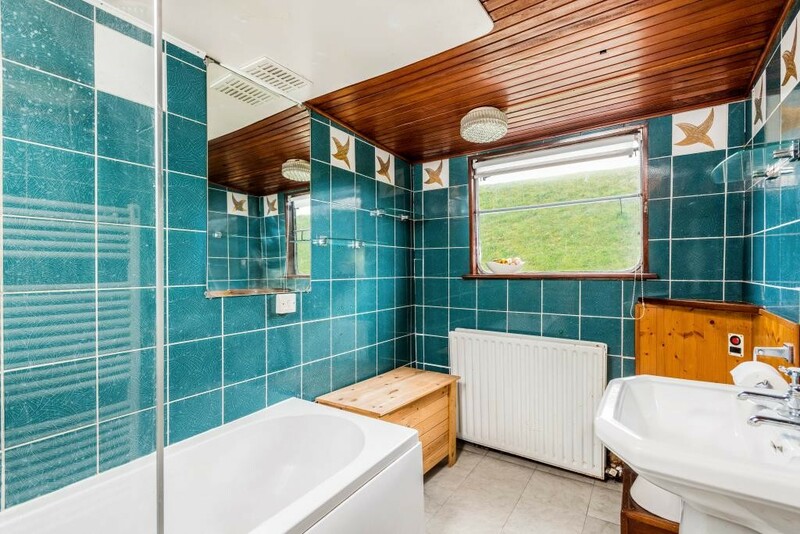 Overall this houseboat offers great accommodation in a fantastic location. 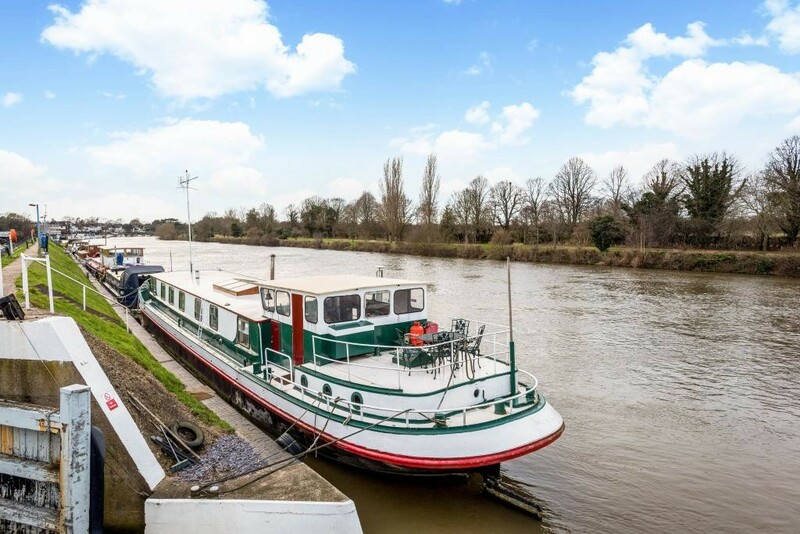 Within the marina itself you will find parking for residents, a fully licensed café and boatyard facilities. 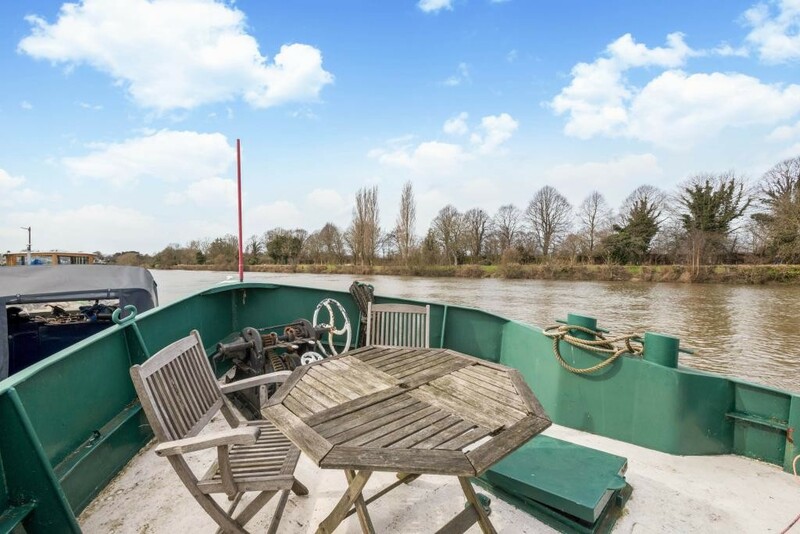 Viewing is highly recommended.Unless riverhomes notifies you in writing, we are only selling this vessel and NOT the mooring. 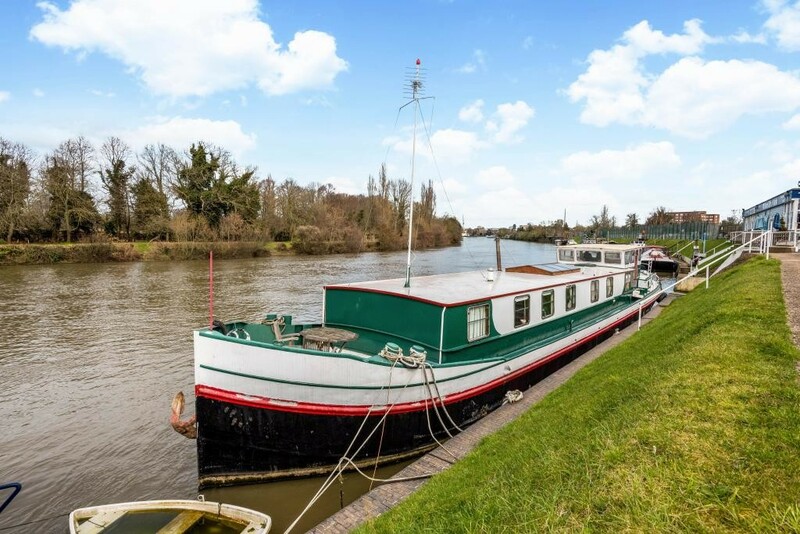 The rental of the mooring is by separate negotiation with the marina or mooring management, all prospective buyers should make their own enquiries with them directly to understand the ingoing costs and mooring fees payable by a new owner. 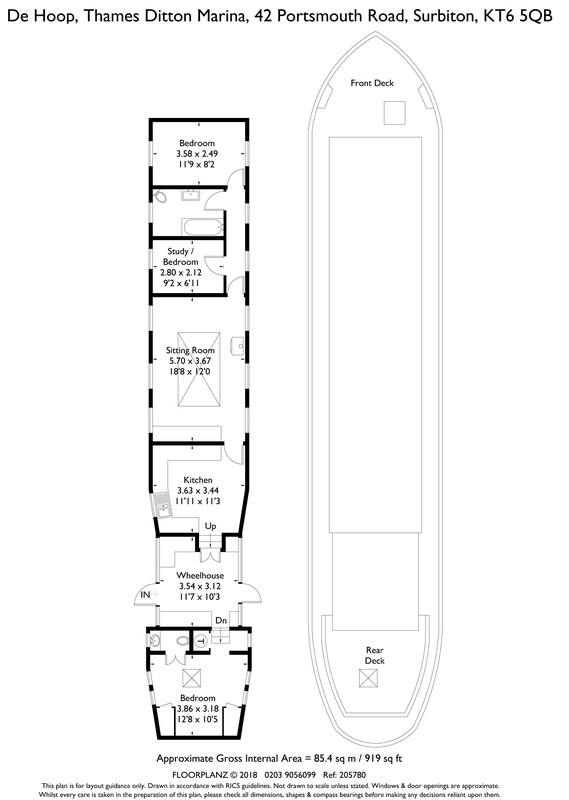 Any mooring fees given here or verbally are approximate and intended as a guide only.